One of the first things we see when we successfully turn on our device is a wallpaper, a photo that is installed on the background of our desktop. That image greets us daily before the work starts. It is also the last thing that we look at when we have to roll up our session and attend other businesses. If that little detail of our Mac somehow got replaced or removed without our permission, we wouldn’t feel well and would look for ways to bring it back where it belongs. We get accustomed to small things and don’t even realize how much they matter to us until they disappear, much like with most things in this life. Mac backgrounds usually showcase subjects that we like. Personal photos that bring a smile to our faces and provide us with good memories, stunning images of nature that look great, any other visuals that please our eyes. Whatever the wallpaper may look like, it is cooler than the default one you had the urge to change. Default backgrounds can look okay, but most of the time they are annoying and dull. They don’t make us feel anything, and they have that machinery smell and robotic fragrance. The pics of our choices create the working environment cozier, conditioning us to positive sessions for longer stretches of time. Let’s say that you run the Mac and find out that your beloved picture got substituted for a default one, be it after the updates or software reinstallment. The early thought on your mind would be to find the image you took a liking too and set it up once again. But what if you don’t remember where it is stored right now, or if it’s even on your Mac? You can always try to find the picture on the worldwide web, but there is still a chance that you will fail to see the exact image that was showcased on your desktop. Don’t be worried, and there are working methods to fix this little problem and reestablish the Mac backgrounds. 1) To make an initial step towards resurrecting the former image we need to click on the small Apple icon in the top left corner of our screens. In a drop-down menu, we will see many alluring options, but we will only need to click on the “System Preferences”. In order, it is the fourth option. 2) In the first row, you will see a “Desktop and Screen Saver” icon, next to the icon of “General”. Click on it to get a new menu, which will give you access to the default Apple desktop pics as well as solid colors and folders where your image can be found. There you can also set up a wallpaper change every thirty minutes. 3) If the image is not in some of your self-created folders and was installed as a background straight from Safari, you can use Finder to look it up for you. A command+shift+g combo will give you a path where you would have to type a ~/Library/Safari/ text. You can also find the sacred picture via iPhoto that is in the aforementioned “Desktop and Screen Saver” folder. Last but not least, browse the downloaded items via “Go” menu and sort the files by type or date to track down your picture. It is not out of the realm of possibility that you deleted the image accidentally yourself. Check the “Trash” and restore the item in just two clicks. The system will not have the liberties to erase one of your media files outright, they are well and safe, just hiding somewhere. We explained how to explore the potential place of wallpaper’s habitat, and it is not a tough task at all. 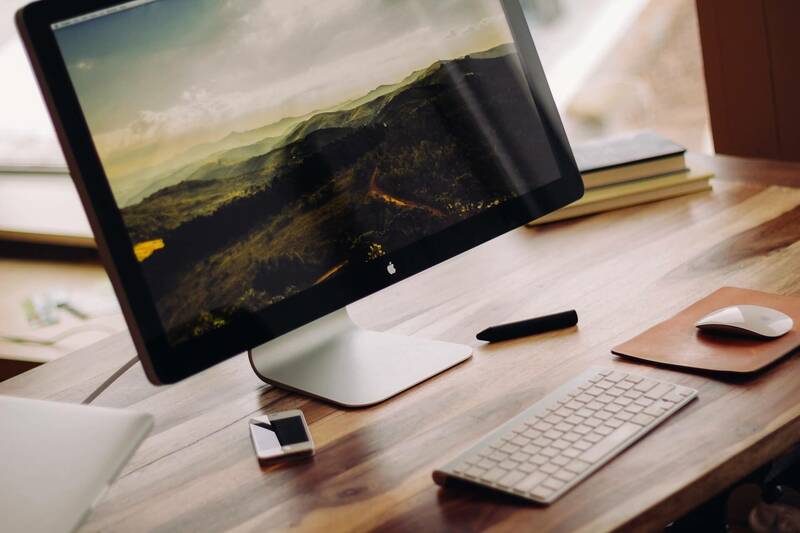 The process of restoring Mac backgrounds would not take a lot of your time, the whole operation will require around five minutes of your time at most. Mac backgrounds are not wild animals, and you will get your way around them and bring them back home. We are confident that with our help you will restore the order on your desktop!